What Legal Steps Do I Need To Take To Prove The Paternity Of My Child In Missouri? Just walking through your local drug store you may have noticed a recent proliferation of at-home paternity testing kits. With these kits it is now possible to get a scientific determination of the paternity of your child after a visit to your local Walgreens or CVS pharmacy by simple taking a DNA swab sample and sending it off to a lab for analysis. But what does this information really mean, and does this information automatically establish any legal rights on behalf of the mother, father or child? In Missouri, the results from products such as an Identigene DNA testing kit alone do not establish custody rights, establish child support obligations or are even legally conclusive on the issue of paternity. In Missouri, when a child is born outside of a marriage, including 300 days after the termination of a marriage, a legal, but rebuttable, presumption of paternity is created under certain circumstances, including: when a man has acknowledged the paternity of a child in writing filed with the Missouri Bureau of Vital Records; when a man has consented to his name being placed on the child’s birth certificate as the child’s natural father; and when an expert concludes that blood tests show a probability of paternity is 98% or higher. But, a legal action still needs to be filed to establish custody rights and child support obligations. These actions are usually brought through the filing of a Petition For Declaration Of Paternity and may be filed in the family court of the Missouri county where either the mother, child or alleged father resides or the father is found. In instances where the alleged father is deceased, it may also be filed in the county where probate proceedings for the father have or could be filed. After the filing of the Petition, either party may file a Motion for a court ordered paternity test. If the ultimate issue of paternity is not contested by either party a paternity test does not have to be ordered. 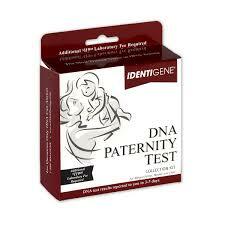 But when it is ordered, the results of such a test will most likely be legally conclusive on the issue of paternity. When a Petition for the Declaration of Paternity is filed, it is rare that the issues are limited exclusively to the establishment of the father-child relationship. The petition also typically includes requests for the award of specific legal and physical custody rights with child, the establishment of a child support order for the child, an order detailing the obligations to cover the minor child’s health insurance as well as an order detailing the obligations to pay the uncovered medical expenses for the minor child. It is not uncommon that the Petition also include a request that the surname of minor child be changed, for requests that previous expenses for the child be shared between the parents and for specific provision as to the daycare and educational costs of the minor child. For non-administrative actions, the family court will need to enter an order and judgment on these issues for rights and obligations of the parents of the child to be established. Whether you are seeking the establishment of paternity or you find yourself responding to a paternity suit, it is critical that you have an experienced family law attorney who can guide you through the legal process and to represent your interests. Please feel free to contact our office today to set up a consultation regarding the specifics for your situation.